By December, every millennial will be old enough to buy a beer. 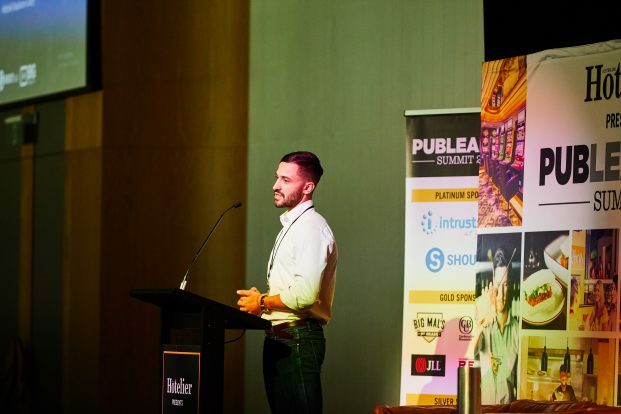 Mitchell Stapleton-Coory, co-founder and CEO of SHOUTback, spoke to Pub Leaders Summit attendees about how crucial it is for venues to adopt a digital engagement approach to stay relevant with these punters. Here are some of the lessons from his presentation. Punters are only becoming more tech savvy, and as this generation of ‘digital natives’ begins to come of age, it is crucial that venues adopt digital engagement strategies in order to stay relevant to this emerging and important crowd. The landscape of digital marketing is changing a lot these days, and there are a few important things that venue owners should be aware of. The golden days of social media marketing are over. With recent updates to the Facebook news feed algorithms stripping away organic and paid reach from business pages, it is now more expensive than ever to reach your customers through these channels. And yet, millennials turn to the internet almost exclusively in order to interact with businesses and brands. If you are looking to get maximum bang for buck, your social media strategy must evolve to focus on engaging content which incentivises sharing. Turn your customers into digital brand ambassadors, and their posts about your business will penetrate far deeper than sponsorship money can buy. In the world of digital marketing, content is king, and the king of content is video. Video attracts 10 times the engagement of text- and image-based posts, and currently makes up for around 80 per cent of all internet traffic, and it makes sense why. The ability to tell a story, to convey a message, to broadcast a vibrant social atmosphere and to create excitement among your followers, cannot be better achieved than by letting them watch it unfold for themselves. This is why it is the content of choice for millennials, and why all good digital engagement strategies should work with video. You will rank higher in the news feed, and you will sooner capture the minds and imaginations of this demographic. Millennials have never known what the world was like before the internet. They are the first generation of humans who expect everything to be on-demand and at their fingertips. If you want to reach them, it will occur in the digital arena. The challenge is to approach new technologies with an open mind, and with a degree of curiosity about how they might solve problems for your business. While it can be hard to pick the winners from a plethora of choice, the failure to up-skill incrementally as technology advances puts you at risk of missing the boat on digital altogether, and you don’t want that. The hospitality sector has already seen significant technological disruption in the past five years, with the arrival of delivery apps alone placing genuine pressure on brick and mortar trade. This has opened up opportunity for new players to shift the status quo back in the favour of venue proprietors, and when this happens, it will be those who saw it coming who will be best placed to capitalise.